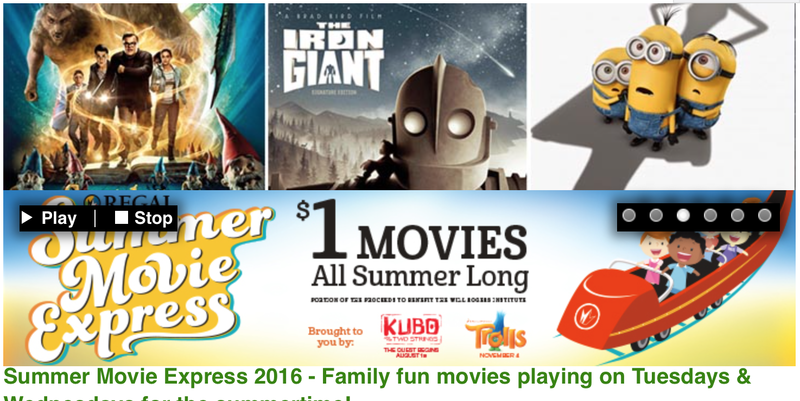 Don't forget about the Regal Summer Movies series! Only a $1 per person. Both movies play each day at 10am on Tuesdays and Wednesdays all summer long. It's a great way to see some of your favorite movies on the big screen. Mark your calendars!